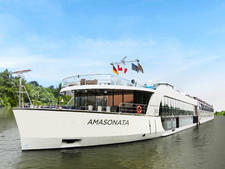 Built in 2009, AmaDolce is equipped for enjoying Europe's great waterways, with a lounge at the back for panoramic views of the sights along the Rhine, Mosel, Main and Danube rivers. 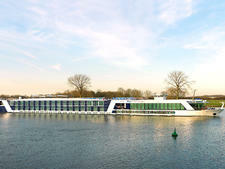 Another great vantage point is the top deck, where passengers can relax in a hot tub, laze on a sun lounger or play a game on the giant chessboard. 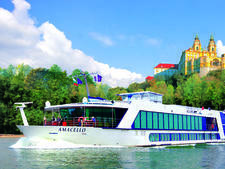 For Australians and New Zealanders, AmaDolce is operated by APT, which offers its Royal Collection itineraries, escorted by an APT tour/cruise director. 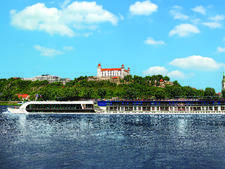 Fares include shore excursions, alcoholic and nonalcoholic drinks (excluding premium brands), Wi-Fi, tipping and transfers. 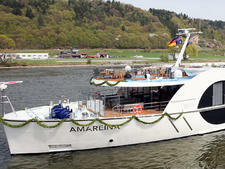 Among the excursions are APT Signature Experiences, such as a private reception at Vienna's City Palace, and Freedom of Choice tours that passengers can select to suit their preferences for walking, sightseeing or cultural activities. 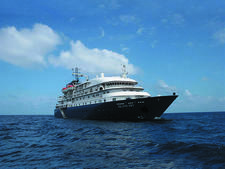 Passengers in higher suite categories also receive complimentary bottles of Champagne on arrival, room service dining and private butler service, which includes daily pressing of two items of clothing, shoe shining, tea and coffee service, excursion booking and more. 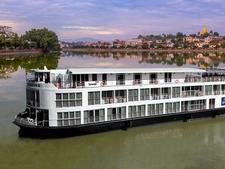 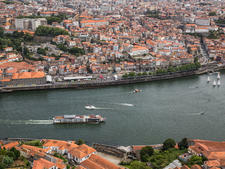 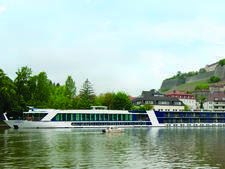 Australian-owned APT operates AmaDolce in partnership with Europe's AmaWaterways. 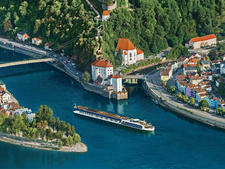 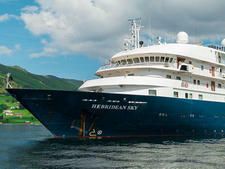 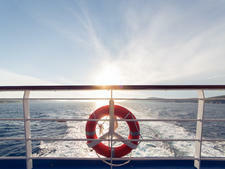 Australians and New Zealanders can also book a Voyages itinerary, which is jointly run with AmaWaterways. 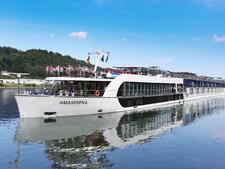 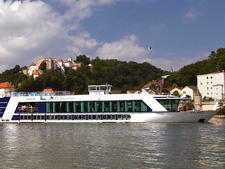 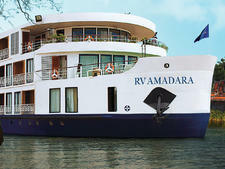 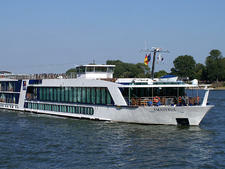 For more details about this ship, see the AmaWaterways AmaDolce page.